Finally some good cricket with a happy ending for team India. Almost everyone involved had a reason to smile. A phase transformation in Indian cricket? The raise of new super power? Or the fall of one super power? May be nothing like that, but it was surely a lot of fun !! p.s: Kumble and Ganguly, I have already started missing you! For the man who has changed the fate of a nation’s cricketing dreams. For a leadership that couldn’t be substituted. For all the long forgotten heroic acts. For all those proud movements, every Indian relished. 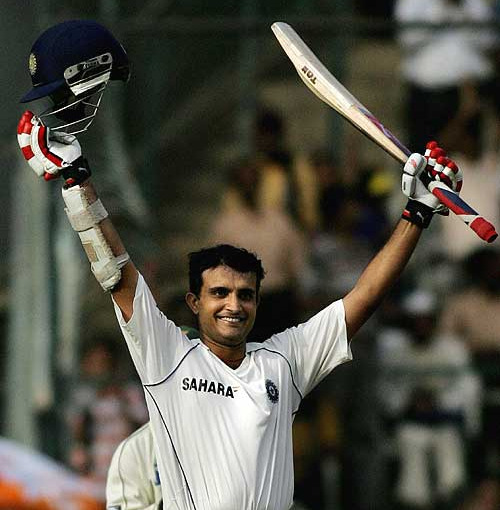 Thank you Sourav Ganguly…the DADA of Indian cricket…! Adam Gilchrist, one of the best wicket-keeper batsmen the world have ever seen, bids adieu to cricket in style. It was surprising to everyone but it was perfect! Well, my admiration for the man just multiplies. 36 years. 12 years of international cricket. 414 test dismissals. Uncountable key performances for his nation. Well he gave enough to cricket and his country. Most importantly, he quited on time. Let others learn something from him. No wonder he is the most loved Australian player in India. For his amazing talents in wicket keeping, his unshakable batting style, for his dedication to his team and for his outstanding discipline on the field, he is not gonna be forgotten easily by any true cricket lover. Gilly, you were always right! Oh…lord…we waited for one year…one whole year…And here we are, at the finest of all sporting moments…! Yo baby, the master is back…and what a start to the year!